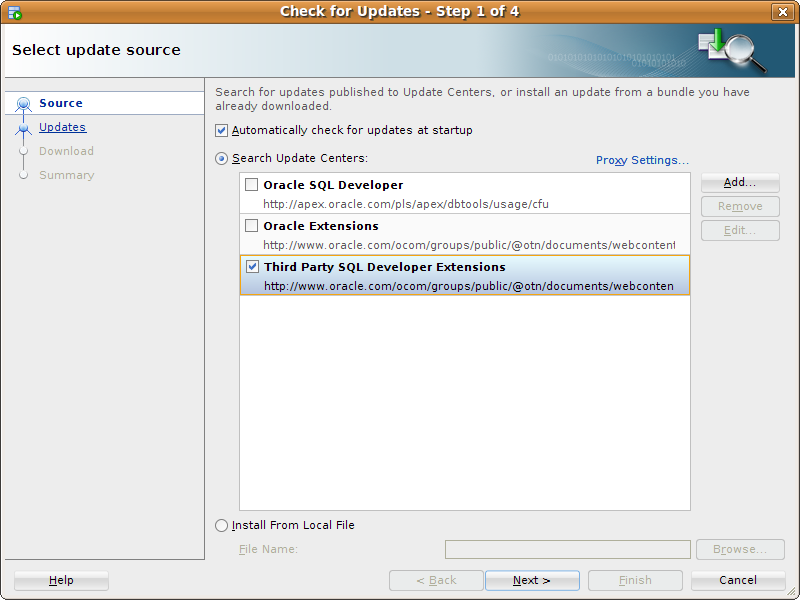 You may download and use Schema Visualizer for Oracle™ SQL Developer free of charge for 30 days. This is intended to allow you to adequately evaluate the software. If you decide to use the software after the evaluation period you have to purchase a license. 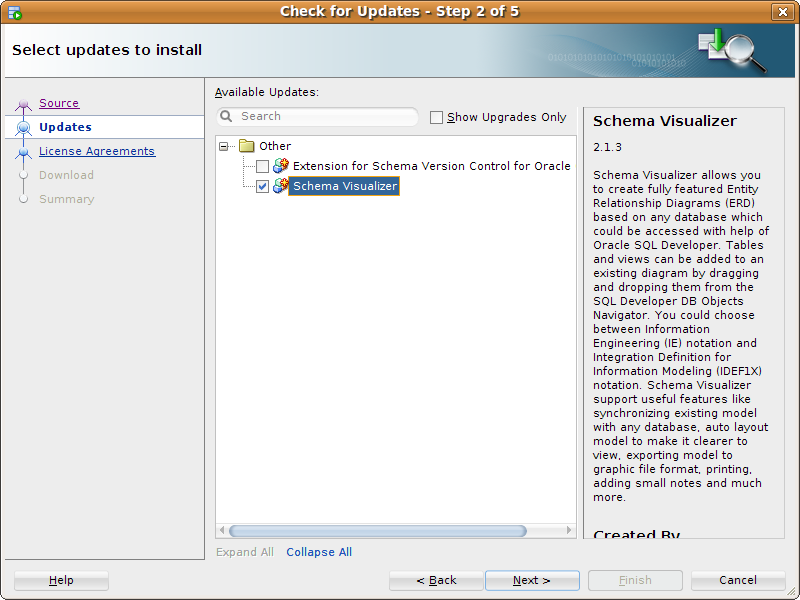 Select "Schema Visualizer" and click Next. 4.0.0 or newer the latest version of the extension. 2.1 - 3.2.2 the version 2.0.1 of the extension.